Supermiata Twin Disc Clutch - Page 2 - Miata Turbo Forum - Boost cars, acquire cats. Oh, dude. I just got my ceramic twin last week, and am so psyched to run it. I modded the clutch master shaft as per the directions, and put a note on the steering wheel to remember to adjust before playing with the clutch pedal. The thing looks awesome! Now I just need an engine to bolt it to. Emilio, keep the baller items coming, and I'll keep buying them. This **** is so full of win. So how do you guys like this clutch setup so far, any feedback? 150ms shifts, revs like a sport bike, discs last approximately forever, and I can still slip it onto a trailer with ease. Yeah, I'm happy with mine. In the market for a clutch. Is the organic version of this thing dead, or just out of stock? How would the ceramic version cope with sitting in line at autox, climbing on to trailers, etc? Can anyone give a sense of % increase in pedal effort vs. the stock MSM clutch, which I understand to be heavier than normal miatae. My wife does autox with me. Organic discontinued. Ceramic does everything, just harder to drive than OEM. 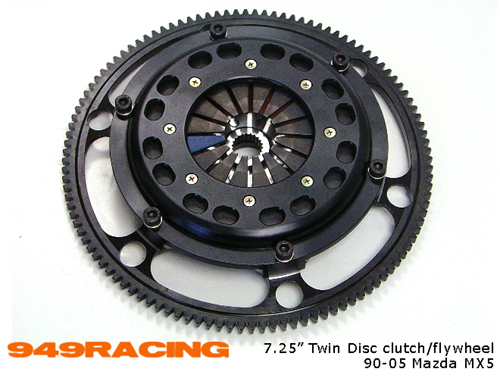 It is a race clutch and that description is not just for style points. OEM pedal around 18lbs, our twin about 40 lbs. After a lengthy search for a single source vendor that could make the shot peened 4140 hubs, two step bonding and high temp Kevlar/Carbon facings then testing the prototypes (beating the crap out of them), we are ready to release the final product. Any longevity data yet? Compared to the old organic? Let me ask you a direct question: Do you really care? Yes. If they last longer then I would consider switching from the organics that I had resurfaced to these. No shots. I have a 949 twin disc and am interested in replacement options. Last time around I had organic plates resurfaced, but I know those are not known to last very long. Especially with riveted on plates. Not something we evaluated. It's a racing clutch. Lasts long enough. More importantly, it works better than the old organic disc and thinner plate system. Even more importantlier, we actually have a bunch. This is awesome, thanks Emilio! I've been stressing how to proceed once I finish off my organic discs but this settles matters. Pretty great pricing too which is even better. One question, do we need to resurface things going from organic to these or are they a direct-swap? No resurfacing. Visit the website for more details for those of you that already have our Race Twin. 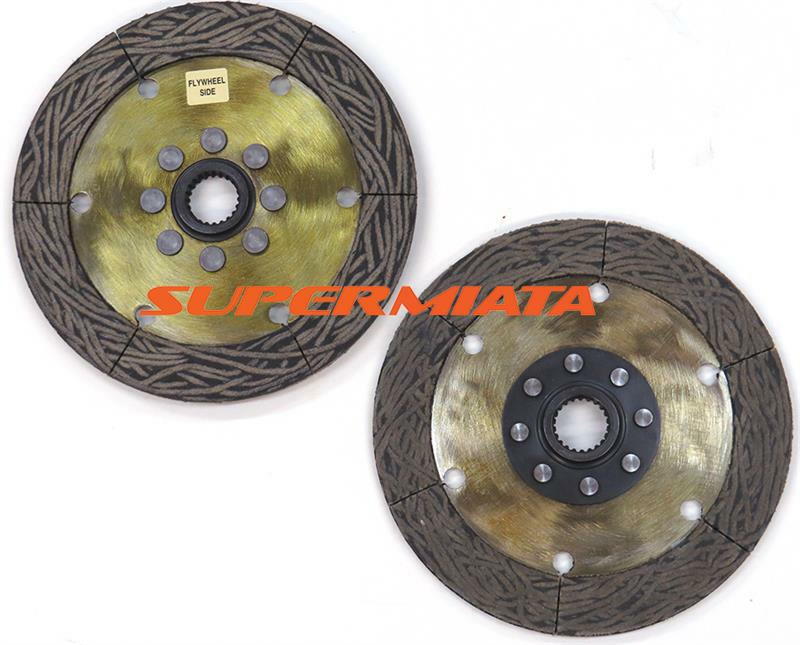 What is the difference in torque capacity between the sintered ceramic and these new carbon/Kevlar discs? What is the actual thickness of the discs?